Another sunny day !!! Its almost like we are having a summer this year !! 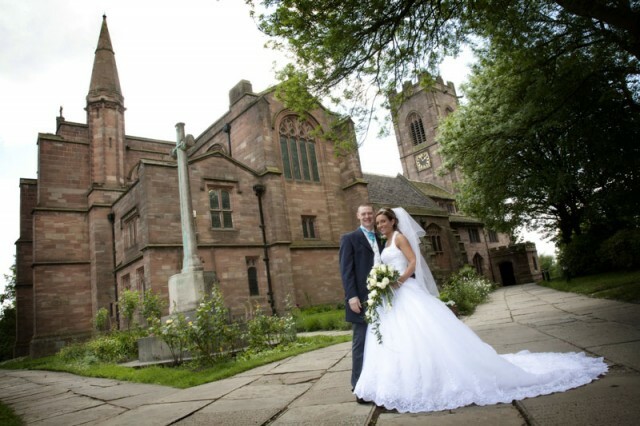 A glorious day greeted us for Martin and Samantha’s wedding at St Marys Church in Prestwich. For those of you who don’t know this church its the one used in all the Coronation Street episodes. Its a stunning church and even better for the men there is a pub almost next door, shame it was closed though !! We met the Samantha in the The Green Quarter in Manchester and spent some time with her and her bridesmaids. Ive got to say they were a lovely bunch !! After that we met up with Martin and his ushers etc. at the church. 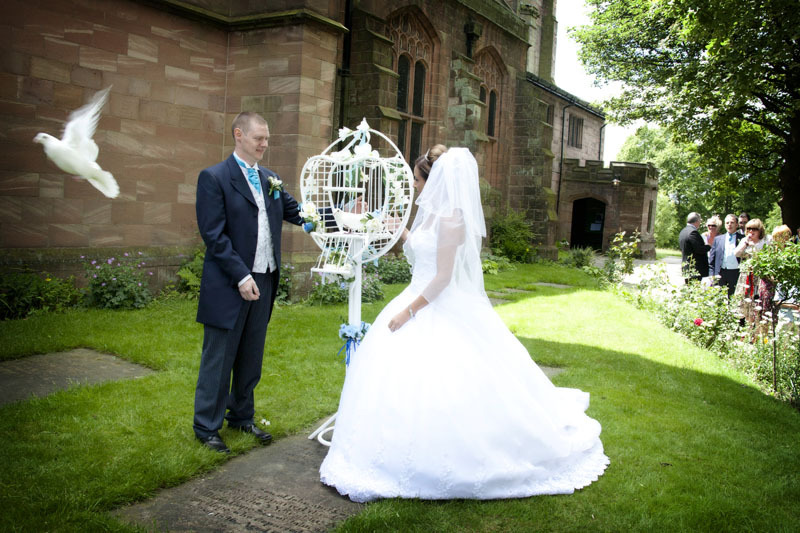 After the service Martin had a very special surprise for Sam, he had arranged for them to release 2 white doves. Luckily we managed to get a couple of shots of them before they disappeared over the horizon. After some time at the church photographing the guests we all went to The Orangery at Heaton Park, it was great to have such a nice day so the guests could get a drink and soak up some of the sunshine. 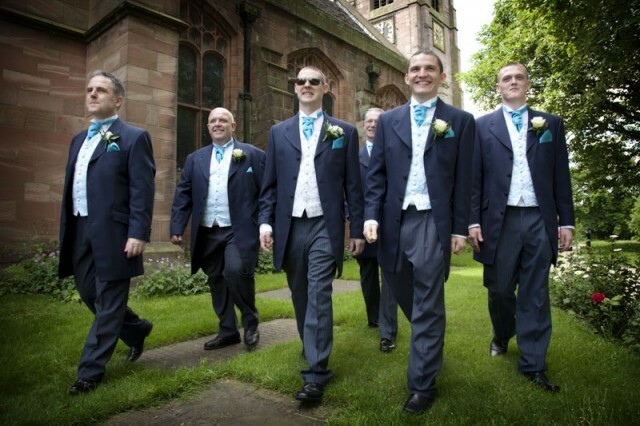 Martin and Sam, I’m sure you had a fantastic evening reception and I hope you have a great time Gran Canaria. See you soon ! !